Below you can view all the homes for sale in the Lakes At Sugarloaf subdivision located in Duluth Georgia. 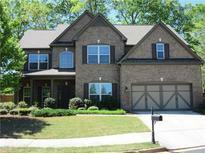 Listings in Lakes At Sugarloaf are updated daily from data we receive from the Atlanta multiple listing service. To learn more about any of these homes or to receive custom notifications when a new property is listed for sale in Lakes At Sugarloaf, give us a call at 404-998-4113. Immaculate 3-Sided Brick House On Cul-De Sac Features 4Br/3.5 Bath/ Office W/French Doors On Main Level, 2 Story Foyer Leads To Living & Family Room With Built-In, Gourmet Kitchen Has Big Island, Back Splash And Stainless Steel Appliances Views To Family Room, Hardwood Floors On Main Level, Spacious Living And Dining Room,Iron Balusters Leads To Upstairs, Huge Master Bedroom W/Trey Ceiling, Separate Tub/Shower, Walk-In Closet, Guest Suite, Front Porch Views To Garden And Play Ground, Fenced Private Back Yard, Energy Save Builder House, Gated, Pool & Tennis Community In Convenient Location MLS#6538063. Chapman Hall Professionals. This Energy Star Qualified Home Also Comes With Dual Toilets To Add To The Energy Savings. Must See ! ! MLS#6114749. Heritage Ga. Realtors.